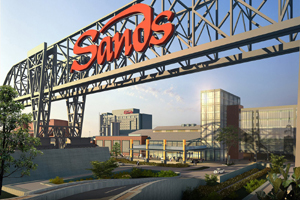 Sands Casino & Resort is a hotel and casino located in the Bethlehem Works development site in south side of Bethlehem, in the Lehigh Valley region of eastern Pennsylvania. Many people comes to enjoy their time playing slot machines, resting in the hotel. Imagine you forgot your car keys on the tray of the slot machine. Your keys has left behind while you moved playing to different play room. The time passed by when it finally hits you, you forgot your car keys on the tray of the slot machine. Following step by step going back looking for the keys, couldn’t help you, the keys no-where to be found. You asked everyone around, you asked the clean keepers, no one saw your car keys. You immediately get your phone out, start to call locksmiths. When you want fast, professional, and reliable locksmith service, you want to deal with the best. LockTech24/7 is a full mobile locksmith shop. We provides automotive, residential, and commercial locksmith services. 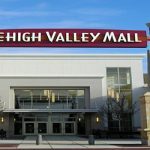 Residents and visitors in Bethlehem PA, can rely on our locksmiths. For instance, if you’ve locked your keys in the car during a visit in Bethlehem Musikfest, we can unlock your car door soon after you call us. If you are locked out of your vehicle now, or lost your automotive keys in Sands Casino and Resorts, we are the ones to call. We will arrive withing 20 minutes and open your car in no time. We can make most of automotive key, including programming a new transponder chip key to your car. After we program the key, you will be able to run your cart, again. When you call us, you don’t need to look back on the book or the internet keep calling more locksmith. Our outstanding customer support will leave you speechless and of course happy to go back to your game as soon as possible.